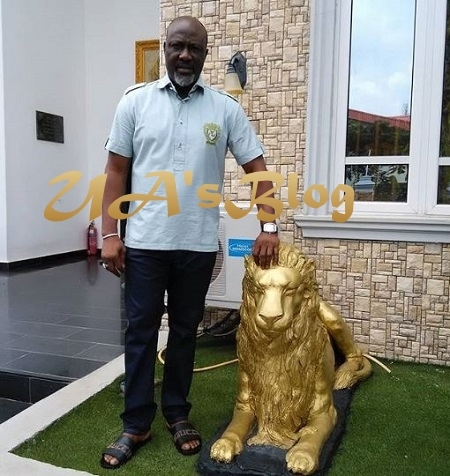 Senator Dino Melaye has shared a new photo since his alleged kidnap and escape from the kidnappers' den after he was abducted in Gwagwalada on his way to Lokoja, Kogi State, to attend his trial, last Wednesday. . Sharing his new photo on his Instagram page, the outspoken and controversial senator wrote: "The Lion of the tribe of Judah is my defender. Whom shall I fear?"